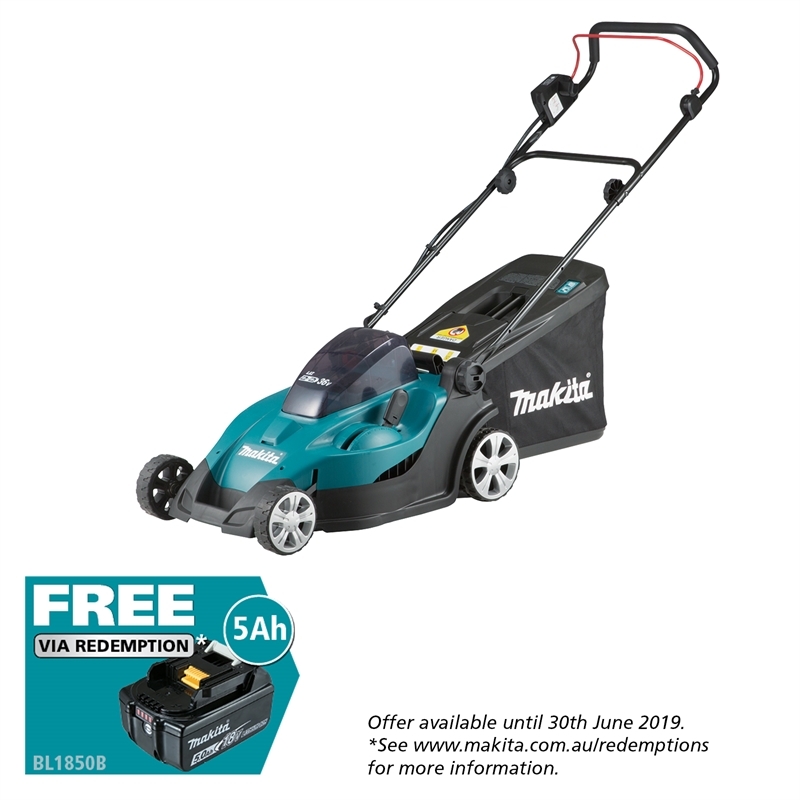 Makita’s 430mm Lawn Mower has the power to tackle any lawn, powered by two 18V Li-ion batteries that allows extremely quite operation. With a cutting width of 430mm (17”) and a lightweight deck design. This lawn mower is designed with a smaller section of the deck that comes into contact with the grass to reduce the pushing force required. A grass level indicator is added to the top of the 50L grass catcher to indicate to the user when the catcher is full. As well as the flexibility of a 13 stage adjustment (20-75mm) controlled by a single lever allows quick and easy change of the cutting height.